The intention of Sacred Wisdom Circle Institute (SWCI) is to allow Medicine People and Spiritual Leaders to pass on their elder-knowledge to a new generation, as well as to create a collective tribal community. The intention of Sacred Wisdom Circle Institute (SWCI) is to allow Medicine People and Spiritual Leaders from Oklevueha Native American Church (ONAC) and other organizations/tribes to pass on their elder-knowledge to a new generation, as well as to create a collective tribal community. For those seeking to become a Medicine Person, spiritual leader or to strengthen your connection to spirit and begin or continue your transformational path, SWCI & ONAC are inviting you to join us. SWCI offers a Medicine Person Certification program that will allow you to receive an official International Medicine Person Card from ONAC. Read more about the requirements for this certificate below. After decades of walking the Red Road, and many years after the formation of ONAC, a group of us formed The Sacred Wisdom Circle Institute (SWCI) and created Sacred Wisdom Circles (SWC), our many associated Teachings, and the Medicine Person Certification Program as a way of providing knowledge to those seeking this path and a better way of life, as well as to assure these ways are passed on & that the ONAC members have access to knowledgeable Medicine People . We have found that many on the Red Road have struggled to walk this path and are seeking guidance and direction. The programs that SWCI have formed are designed to help anyone to be able find the information needed to be able to walk this Righteous Red Road in a good way. Even if you cannot attend a ceremony locally or travel to one of our Teachings, our online home study correspondence program is designed such that you can study from the comfort of your own home or nearly anywhere. Sacred Wisdom Circles are week-long seasonal gatherings in Natural Sacred Space and are limited to 24 ONAC members, as well as the SWCI Leadership & facilitators. The intention of these Circles is to celebrate, empower and Teach those individuals seeking a spiritual path of transformational healing and empowerment as Medicine People within ONAC. While any ONAC member can attend these Circles, priority is given to those seeking certification. As we know that not everyone has the interest, time or resources to attend four separate week-long trainings, and to serve as Medicine People, The Sacred Wisdom Circle Institute also has weekend, distance (such as our highly revered year-long, online 13th Moon program) and other learning options such as Vision Quest, which are appropriate for the general community. Click below to learn more about our Medicine Person Certification, the Sacred Wisdom Circles, Vision Quest, and our online teachings such as the 13th Moon Program. ONAC, is founded on collective, earth-based values and wisdom, and is both non-denominational and global in purpose. 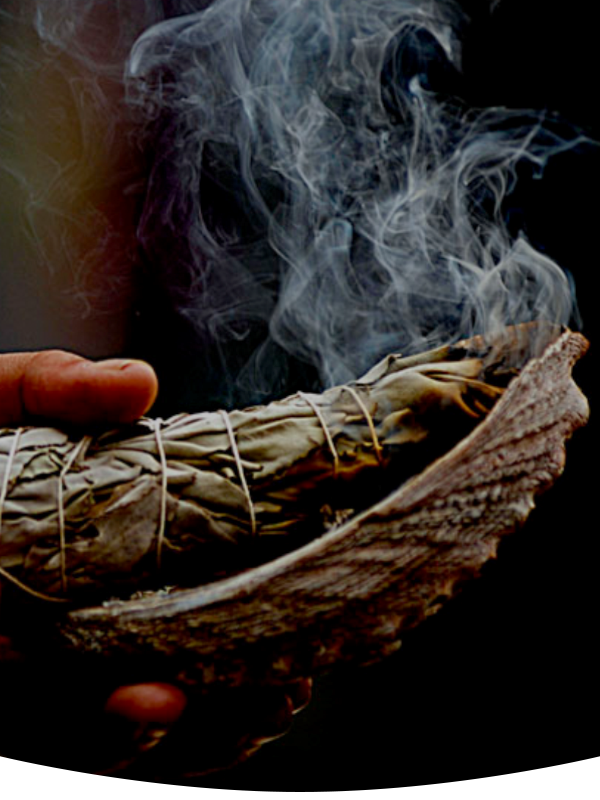 Indigenous ceremonies create an experiential environment supportive of remembering our Spiritual focus and wholeness, and provide a transformational experience which allows us to heal addictions and dysfunctional behaviors. SWCI is unique in that we don’t only teach one tradition, but instead provide you with a holistic and complete set of Teachings. We teach both Lakota and Seminole spirituality, but we also teach breathwork, meditation, bodywork, Plant Medicines, Akashic Records and many other skills. Together, our Elders and Facilitators have many centuries of experience for you to learn from. Our goal is to provide a complete set of tools for you to choose from and work with, so that your own healing and the healing of those you work with will be complete. We have gone to great lengths to minimize the cost of our program and still be able to provide you with comprehensive and powerful Teachings which will thoroughly prepare you on the Red Road and for any situation you may encounter. Choosing to become a Medicine Person with Oklevueha Native American Church (ONAC) & Sacred Wisdom Circle Institute (SWCI) requires a lifelong commitment of service to the community. For those who are prepared, ONAC provides an Internationally recognized Medicine Person card after completion of the SWCI Medicine Person certification program, which allows the holder to officiate at ONAC ceremonies throughout the world. Please note that even after obtaining the SWCI Medicine Person Certificate, one must seek a Medicine Person card directly from ONAC and not SWCI. As well, Medicine People should only facilitate those ceremonies which they are completely familiar with and can confidently perform their duties. Furthermore, Medicine People must uphold the Code of Conduct and Code of Ethics at all times. As well, mentoring and other work may be required at the suggestion of the trainees mentor. Some individuals who have done extensive work with other Elders or institutions may, on a case-by-case basis be eligible to forego a Circle or other requirement, if granted permission by the program coordinators. The requirements can be completed in a single year or over many years, as the path is yours to walk. Team members have lived and trained for many decades as Medicine People, healers and facilitators and are actively healing from their own life challenges. Daily living and social skills. High risk and crisis/grief case management. Assessment and programming for groups and individual. Gentle Eagle Stone (Sundancer, Inipi, Hanblecheyapi): Gentle Eagle is a Sun Dancer and Medicine Person who worked with Black Elk, Martin High Bear, Fred Wahpepah and James “Flaming Eagle” Mooney. He has been participating in ceremony for 49 years. The purpose & intention of Sacred Wisdom Circle Institute or SWCI, and our various Teaching programs is to allow ONAC Medicine People and Spiritual Leaders to pass on their learned Elder-knowledge to a new generation. We are creating a community of Leaders, Healers, Storytellers and those who are committed the Sacred Red Road. © 2017 The Sacred Wisdom Circle Institute. All rights reserved.